In the last few weeks we saw the parliamentary commission on drug policy come to a close. The commission concluded that a Royal Commission should be started to investigate the most sensible route forward on the matter: a more lengthy and rigorous public enquiry which would wield far greater power. 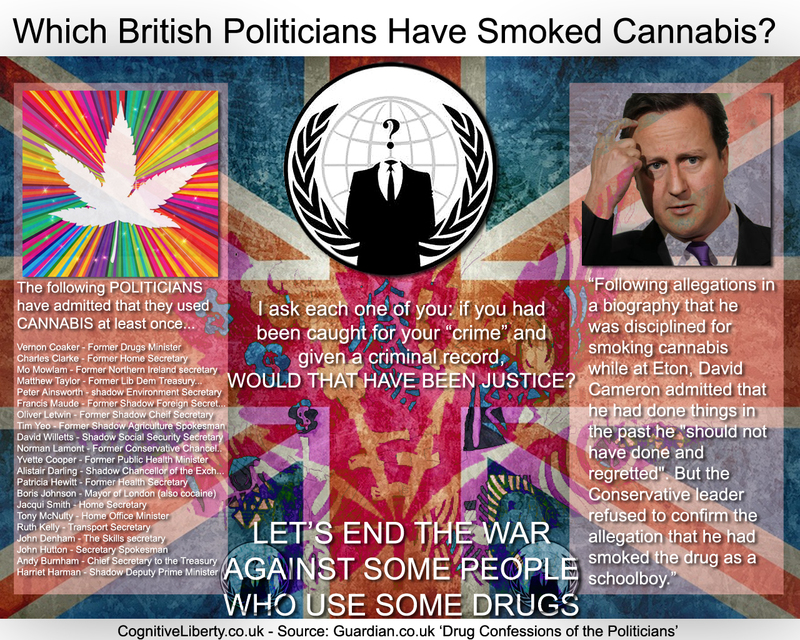 Here’s betting that Cameron, a decade or two from now, will join the long list of ex-prime-ministers, presidents and politicians who, only after they have lost their power, decide that that drugs should be decriminalised. Of course, the new enquiry focussed on the same old issues: the dangers, the legal highs, drugs in prison. As with so many things though: the most interesting things are what weren’t said, what was ignored, and issues the commission chose not to linger with for too long. It seems that a parliamentary commission can only go so deep, there are boundaries to work within and certain rules you have to stick by. In the case of this recent parliamentary commission the main boundary, the main rule, was the question of the fundamental legitimacy of drug prohibition. Really the purpose was to investigate drug policy whilst holding to a tacit assumption that recreational drugs must remain illegal. The commission itself, as well as the inevitable tide of mediocre media analysis on the issue, failed to go to the real heart of the issue. The criminalisation of recreational drugs is a civil liberty issue, a ‘cognitive liberty’ issue: it is about no less than the state’s control over the minds and experiences of the population, over the freedom of the individual. Nobody asks, nobody cares, about the question: “What gives those people the right to tell me what I can and cannot do with my own mind?”. People have used myriad means to alter consciousness for millennia, we have come to take it for granted that there should be ‘some one there to tell us what we aren’t free to do’. Another ‘little thing’ about the issue didn’t really make it to the commission or the press. Whilst discussing all of the harms, the issue of the benefits of drugs didn’t seem to get quite so much attention. For some reason, discussing the statistically tenuous links between cannabis and schizophrenia (cannabis being a drug which has become more dangerous precisely because of its illegality) is infinitely more important than discussing the medicinal benefits of the drug. Likewise, calls for psychedelics to be integrated into the psychiatrists arsenal of controlled psychoactive medications, or at least for research into the medicinal benefits of the drugs to be allowed, weren’t given much time at the commission. Then there’s the other great taboo, and this is the true elephant in the room: America. We all know that every time a British Prime Minister EVER speaks with a US President the words “special relationship” must be uttered at least once. Is drug prohibition, essentially, a diplomatic price we have to pay to maintain this “special relationship?”. We all know that if there’s one thing America doesn’t like, it’s for one of it’s submissive allies to start asserting too much autonomy. If you look at the history of our drug policy, you will see that in every stage of its development it was following in the footsteps of America’s dug policy. If you look a little closer you’ll see America, every step of the way, holding the hands of British politicians and leading them into ‘the war on drugs’. ‘The war on drugs’ – a puritanical American moral crusade- the UN Convention is simply how America imposes it on the rest of the world. Imposing an unending war on the world, and in so doing, allowing its power and influence to permeate into the governments of all nations: it really is quite clever! The truth is, fellow Brits: our government IS NOT IN A POSITION to back out of the war on drugs, they do not have the power to do it, they are not allowed. America wouldn’t like it, so it’s not going to happen: it’s a diplomatic thing more than anything else, it ‘might seem rude’ to our allies if we start thinking for ourselves. 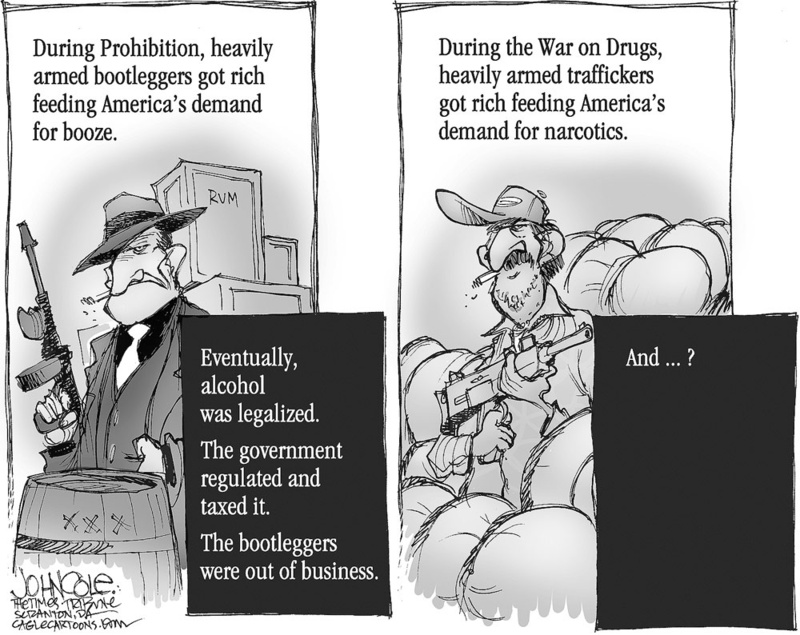 Drug prohibition is a poisonous policy: it needlessly sets the state against its citizenry. It is totalitarian, interfering with the personal choices of the individual, removing freedoms long-enjoyed by our predecessors. Now that a couple of US states have decriminalised cannabis for recreational use, a double-standard is starting to exist: with all these things there comes to be a tipping point. Once enough countries or states legalise it, we think the other countries will be forced to do the same for reasons of sheer economics.